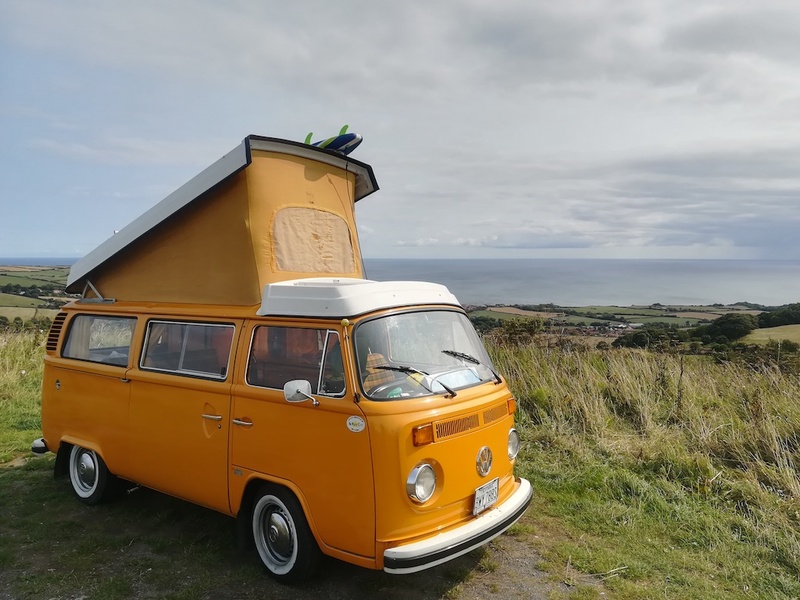 One thing I find wonderful about the VW camper is the ability to park this small machine in most areas that larger motor home would struggle with. Yes, it’s small but given the fact that it has so much usable space makes it an incredible versatile machine. We have owned VW T2 for twelve years and over this time we have travelled and camped in some idyllic locations. Wild camping is the way we prefer to travel finding gorgeous locations and setting up camp with incredible views of the mountains and coast lines… that’s what we dream of. By Traveling to the most remote areas allows us to enjoy incredible scenery, solitude, and nature. Our bus is designed with wild camping in mind, fitted with a 100w solar panel to the roof, two 110 amp batteries that power the 12v waeco fridge, led lighting and a propex heating. That means that we no longer need to rely on electric hook up systems and we are free to go where we desire.